We’re told tap water has chemicals and pesticides in it, but buying bottled water is both costly and bad for the environment. We’re told tap water has chemicals and pesticides in it, but buying bottled water is both costly and bad for the environment. The solution? Filtered water. Here are some of the best water filters to use at home. These water filters use activated carbon to purify your water. The carbon removes contaminants by chemically bonding to the water. Some are only effective at removing chlorine, while others remove more harmful contaminants such as traces of mercury and lead. Activated carbon cannot, however, remove fluoride and nitrates. 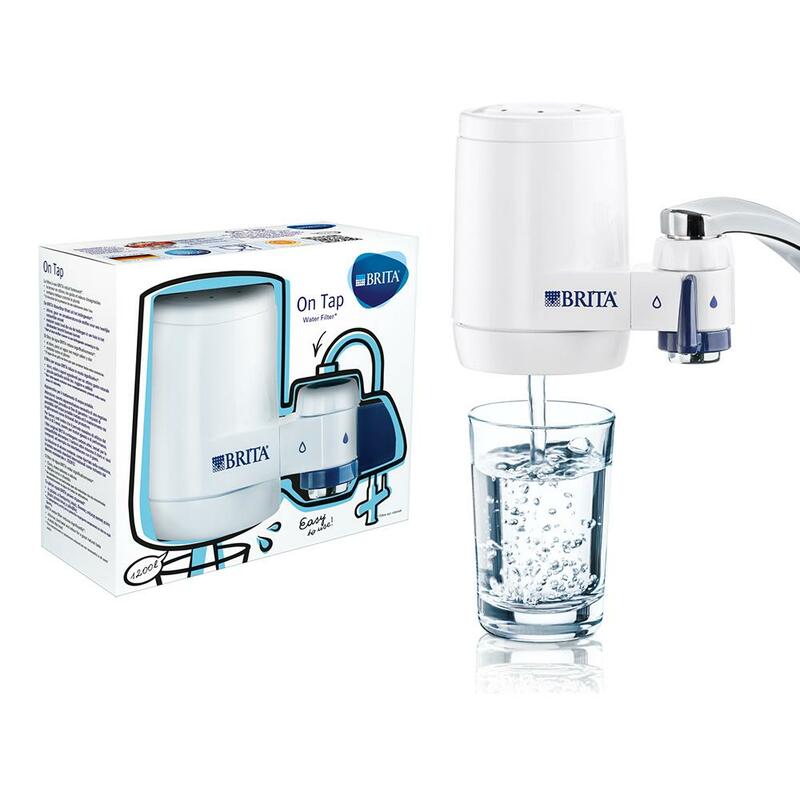 There are many kinds of brands you can buy and each will use activated carbon in conjunction with another kind of filter, such as built-in mesh barriers (like Brita’s standard water filters). They range in price from as little as $20 to $75 and are a quick and easy way to start filtering your water ASAP. This system incorporates an extra tap in addition to the hot and cold taps attached to the typical faucet. The standard under the counter inline filter merely siphons water away from the main cold tap and sends it through a separate pipe to be filtered through the under-mount filter. While more expensive than pitcher filters, inline water filtration removes 99% of contaminants from your drinking water, including chlorine, heavy metals, water-borne cysts and pathogenic bacteria such as Coli. Check out My Water Filter to find out how you can install one. 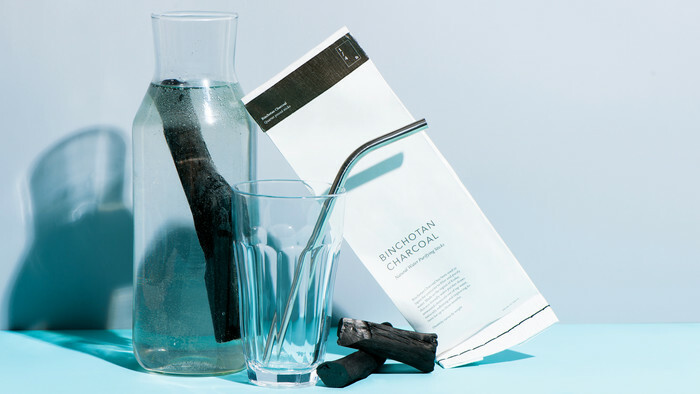 Possibly the most eco-friendly filtering method, this one is simple: stick a burnt stick in a jug of water. Actually, it’s slightly more complicated than that. Activated charcoal consists of a substance, usually wood, coal, coconut shell or bamboo, which has been burned without oxygen to create char. This is then heated to a high temperature and exposed to certain gases. This process makes it porous. Once activated, the increased surface area can bind to any substance and absorb any toxic molecules it comes into contact with. Each stick typically lasts around 3 months, is odourless, tasteless and nontoxic. Starting at around $25, it’s a cheap and natural way to purify your water. We like this Morihata Authentic Kishu Binchotan Water Purifier from Nourished Life. This filtration system exists somewhere between the pitcher and an inline filter. The filter can be easily installed directly on your existing faucet and allows you to have separate access to the filtered and unfiltered water. 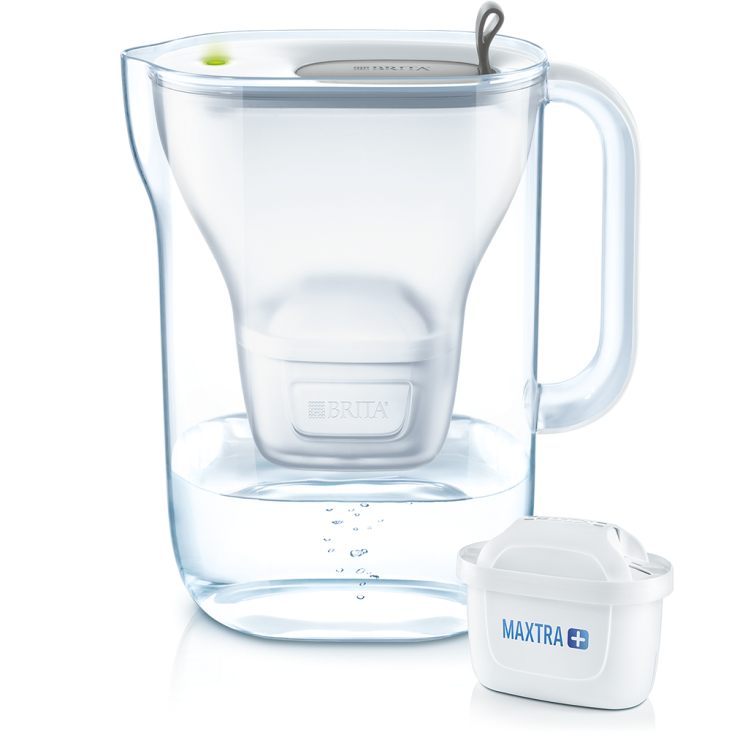 This Brita system, like the company’s pitcher filter, is also highly popular. It comes with a sensor which will notify you when it’s time to change filters and is a mid-range price. Cheaper than an inline filter but more expensive than the charcoal sticks and pitcher filter, it’s worth it for the ease of access and water pressure.